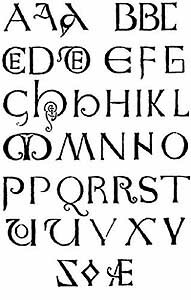 Writing in a broad sense is a set of written communication means : graphic structure, alphabet, orthography. Writing strictly speaking is a set of written and literary monuments of a nation. Pictography was the earliest for of writing or writing by pictures .The next stage of writing was an ideography or symbolic writing. Ancient Egyptian writing is an example. At first sight it`s very similar to pictography but from the very beginning the two writings differed from each other. And if pictography as a beginning was designed to depict the whole image every element of ideographic writing — hieroglyph — depicted separate images. Chinese hieroglyphs are the most famous ones of ideographic writings and almost the only one we have now. It`s still used in the People`s Republic of China. Chinese hieroglyphs became a basis for the present system of Japanese writing. Totally there is 60 thousand hieroglyphs in Chinese writing. As a rule a Chinese person knows several thousand hieroglyphs. And with that he can read a newspaper or magazines or imaginative literature. Another ideographic writing is wedge writing spread among peoples of Mesopotamia —Sumerians and Assyrians — babylonians. There was a simplification of images unless they became symbols not an image — up to a simple scheme. Ancient Phoenicians made another important step towards the present alphabet — they started using Egyptian hieroglyphs for writing — but used only those ones that detonated separate syllables. But the Phoenician language had sounds Egyptians didn’t have. For those sounds Phoenicians made their own. The real alphabet is the one that consists of letters not of syllables — where there are signs for not only consonants but also for vowels and it emerged in ancient Greece for the first time. Greeks borrowed writings from the Phoenicians but it appeared not be suitable for using in greek language where vowels play a major role and signs for their denotation were also necessary. In this way greeks invented signs for the vowel denotation. The Greek alphabet appeared to be so easy and suitable so other nations of the ancient Mediterranean used it: the Etruscans — Lycans — Lydians —Bracians and the Carians. Many writings including the Latin alphabet emanated from the Greek one. The major part of humanity uses the Latin alphabet that has different additional signs and dual letter symbols for sound denotations missed in Latin. In the medieval times Latin became international and for many centuries it played a role of the scientific language. Theoretical dissertations were written in that language as well as results of experiments. Encyclopedists and enlighteners, naturalists, mathematics copied in Latin, letters were like scientific articles and its discussions as there were no periodically edited publications yet. Two scholar monks from the greek town Solun` (city of Saloniki in Greece now) worked out the Slavic alphabet developed on the basis of greek writing. They were Kirill and Mefodiy. In 1963 the 1100 year anniversary of the alphabet was celebrated around all Slavic countries. As for Bulgaria the day of Slavic writing is the 21-st of May. Strictly speaking kirillic writing (kirillitsa) is not the only early Slavic one. Simultaneously there was glagolitsa — (from the term «verb» — glagol — in old slavic «word»). It’s more complicated than kirillitsa. Some scientists think that Kirill invented kirillitsa and glagolitsa as the letters of the two alphabets are similar. Others say that one of the alphabets existed before Kirill’s but opinions differ on which one is true. Kirillitsa has 43 letters. By the way the letters were used for digital denotation — for that lines were put above them.And even now kirillitsa is used in different variants in Russia,Bulgaria,Yugoslavia. The Russian alphabet got a modern pattern in the beginning of the 18-th century when Peter the Great applied a new form of written symbols — civil type instead of the church one. Cultural development and demand growing on not only religious books but scientific and educational, imaginative literature demanded more simple symbols. Then some letters of Kirillitsa became needless as sounds they denoted left the language. The reforms of Peter didn’t take out all unnecessary letters in Russian and only some of them were officially taken. Along with it two new letters appeared in Russian in the 18-th centuary — й (yi) in 1735 and ё (yo) — 1797.The letter " ё " was used by N.M. Karamsin for the first time the author of the novel «Bednaya Liza » («poor Liza»). After 1917 unnecessary letters were taken out of the Russian alphabet. Letters Fita,Ijitsa,hard sign and finally yat`, cursed by all pupils were removed. Modern writing of most Russian peoples are based on slavic kirillian basis. People speaking in 60 languages use writing formed on the basis of kirilllitsa.